I played this on my Android phone, but later it was released again for PlayStation 4 and PlayStation Vita, but I haven't touched either of those versions, so I'm just going to write down my thoughts based on my Android experience. Hitman Go is the first game under the 'Go' branding for Square Enix and it was a great game even though people initially thought poorly over it since it is both on mobile platforms which a lot of people equate to non-full fledged games and that it was changing the type of game completely from its originating series. I got it when it was on sale for $1.00 and it was well worth it and looking back, had I known what I was going to get into, it would be worth the full price purchase. 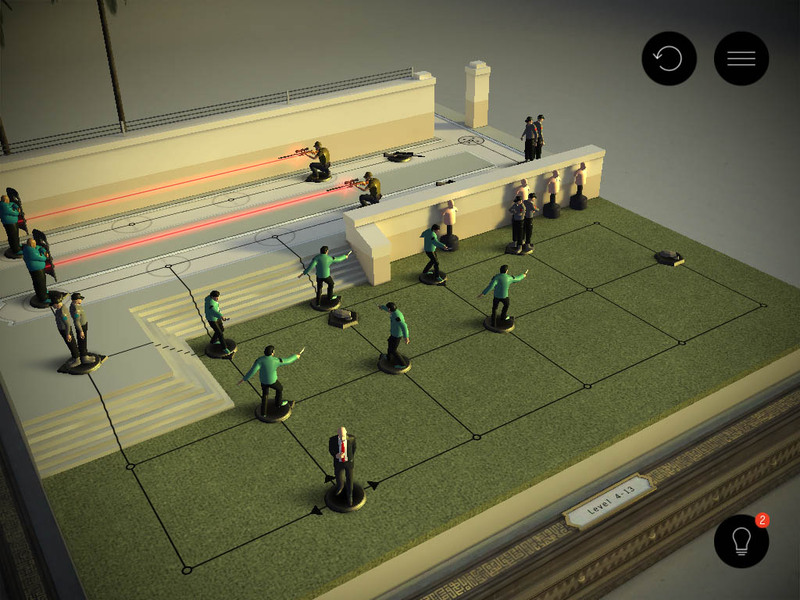 In Hitman Go you are placed as a hitman on a diorama board which has preset enemies and routes that you can take. You swipe to move your character (up, down, left, or right) and after you move, all the enemies move after and you take turns doing this until you reach the end goal or objective. It sounds simple, but the enemy types, position of things you need to get or hide behind, makes it a fun game to play and sometimes a head scratcher when you try to determine how to solve the puzzle. 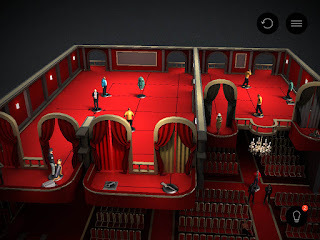 The game is cleverly designed where each chapter/section is a 'board game' where you open the box and you see the layout of the areas that you visit. 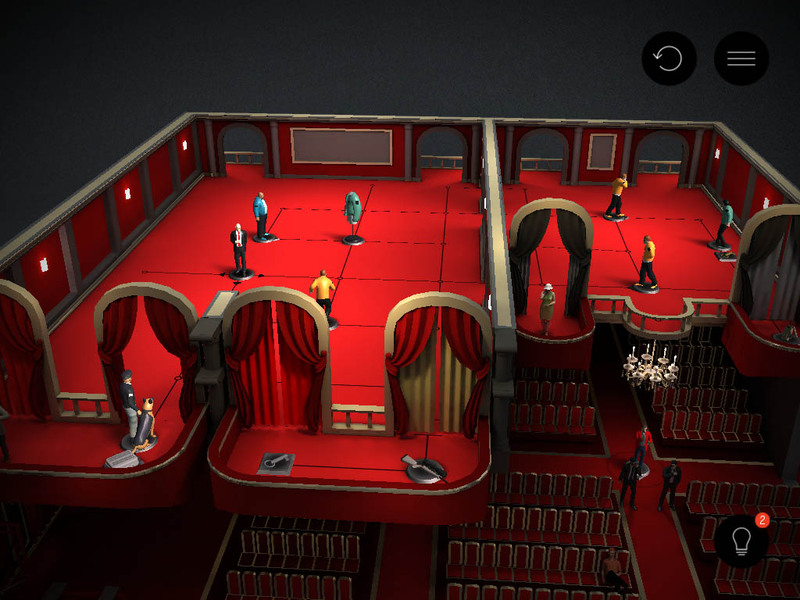 Those areas are the dioramas that you play in. Each 'board game' has a different theme such as airport or opera house to name a few and it gets progressive harder in difficulty as you play. Each diorama has three stamps (similar to three stars in other games), but in order to get the three stamps, you usually need to play the level several times, so there is a lot of replay value to it. 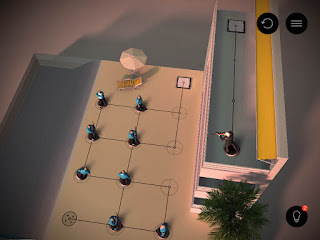 One stamp might be beat it in x moves which is usually the quickest route, one might be get the briefcase which requires some finesse and thinking. As you progress, there are newer things such as enemies with dogs that follow you, keys that you need to unlock doors to progress just to give you an idea. I haven't finished this game yet, but I am at the last board game so I'm not too far now. 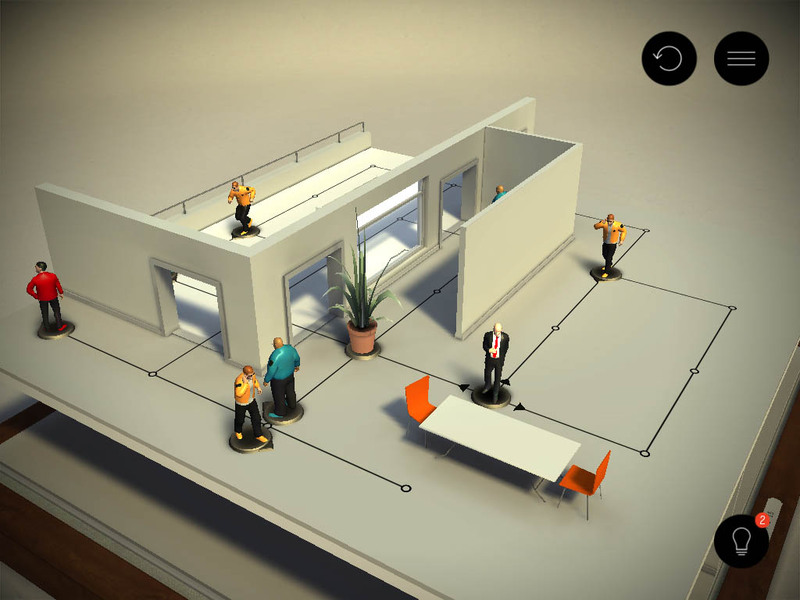 There is no story in this game, it is just you trying to determine how to finish the diorama. I don't take issue with this since I never play mobile games for story (besides Punch Club). Definitely worth a try in my opinion. Unfortunately there is no demo, so you cannot try it out, but if you watch some gameplay videos, you will quickly understand how the game is structured and how to play it. With regards to length, there are 7 boards, and at least 10+ dioramas within each one, so there is plenty of content in this game for the asking price. Come back next Wednesday for my Final Thoughts on Sky Force for Android.